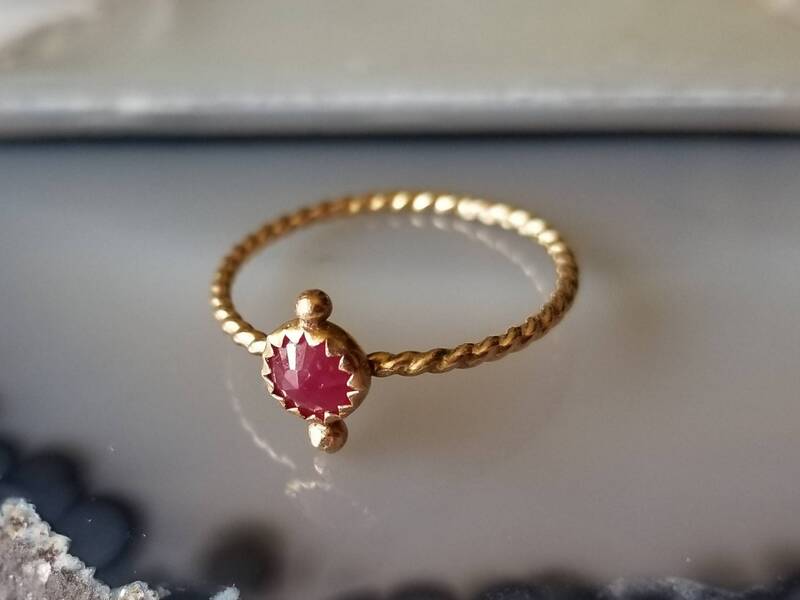 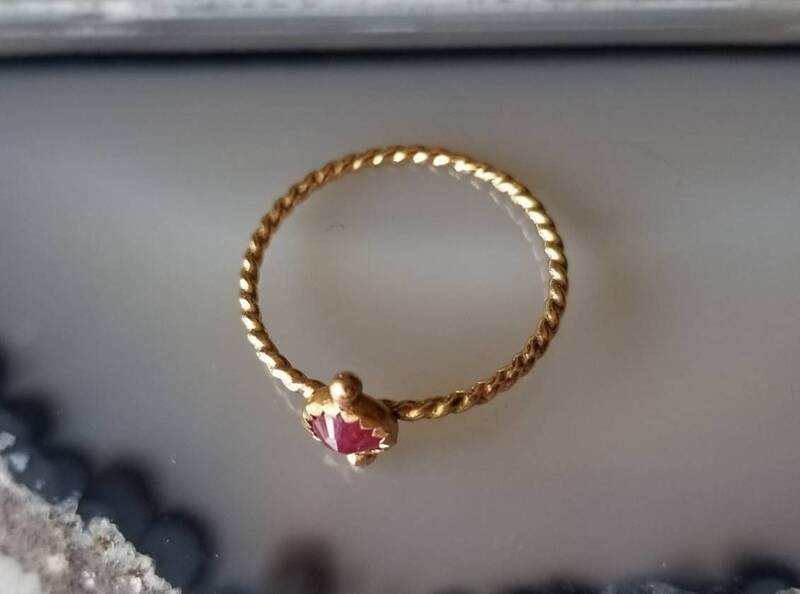 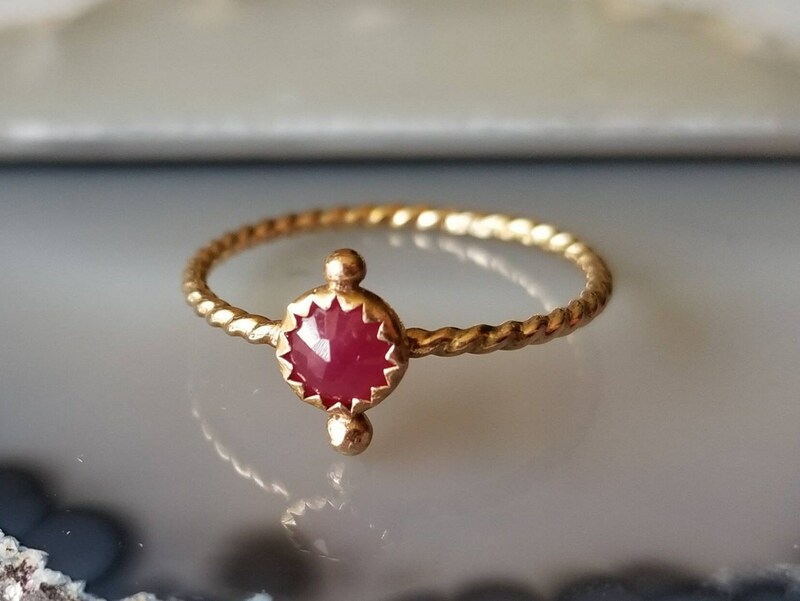 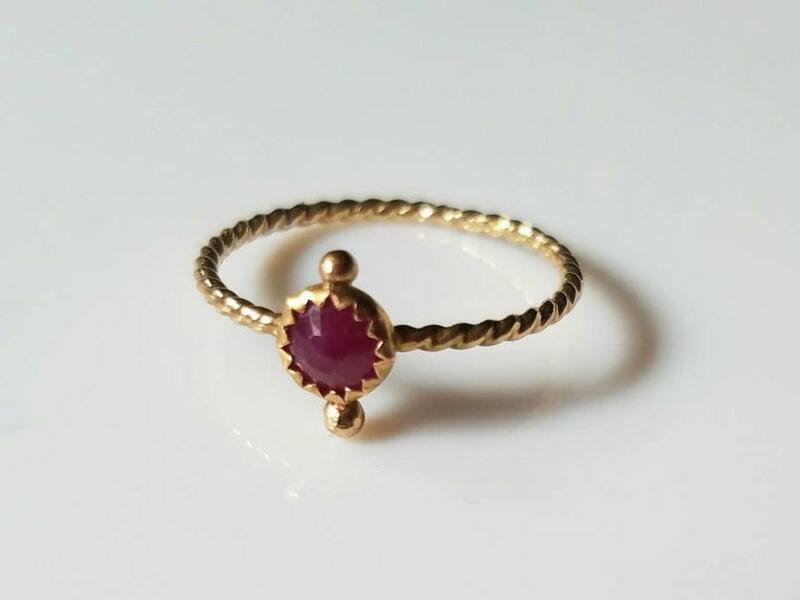 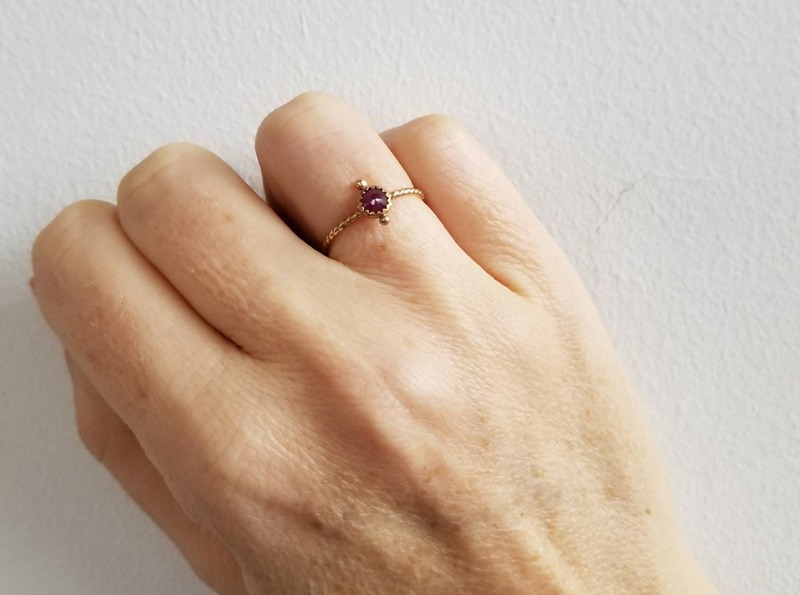 I created this ring around a beautiful deep pinkish red rose cut ruby that really glitters in the light. 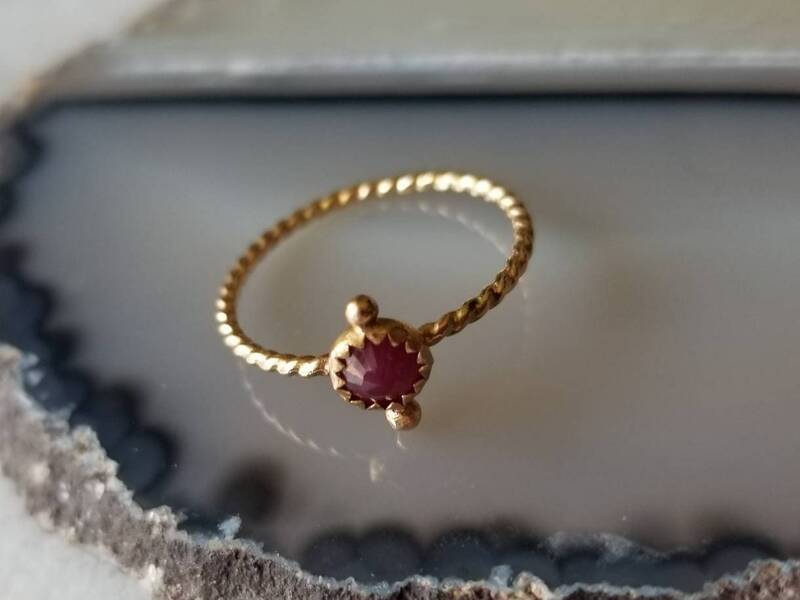 I set the stone in serrated bezel cup and adorned it with two tiny gold spheres. 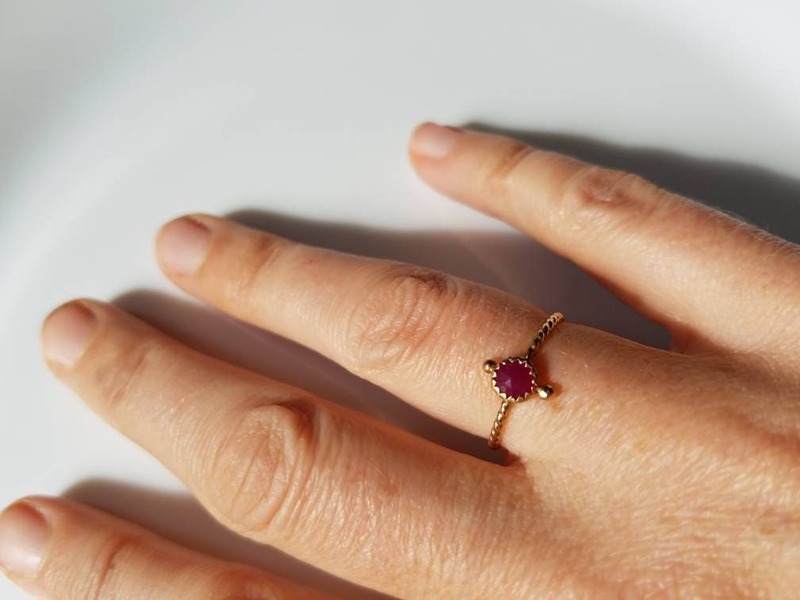 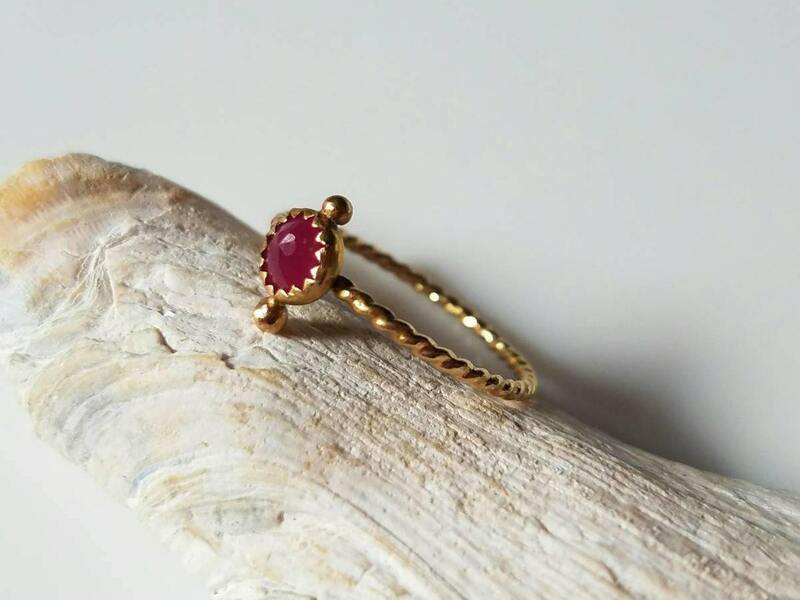 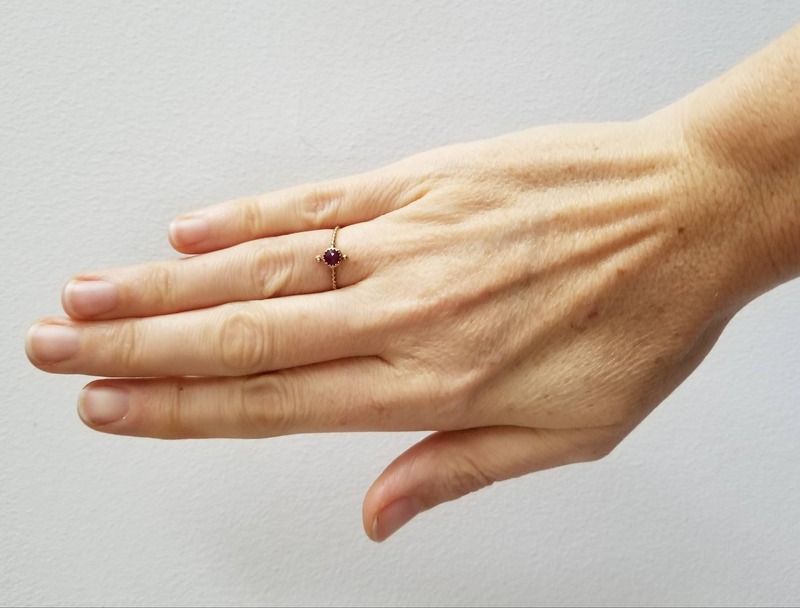 The ruby is 5mm and sits on a delicate twisted shank 1mm thick.